This detailed examination of the growth and expansion of London’s port starts just after the Ice Age with the creation of the Thames and the mudflats where early boats were kept, and ends with the unloading of one of the world’s largest container ships. In many ways, this book is a history of Great Britain itself. After the Romans invaded Britannia and forced the tribal kings to swear allegiance, they began building roads in southeast Briton. A narrow point upriver was chosen to erect a bridge and unite both sides of the Thames. A need to defend this structure with a garrison of soldiers led to the establishment of Londinium. The long navigable tideway brought vessels fifty miles from the North Sea and provided easy access to Continental Europe. Goods arrived from throughout the Roman Empire. These included wines, foodstuffs, olive oil, textiles, pottery, fish, fruit, and salt. Navigating up the Thames was slow and difficult for sailing ships even in Roman times. Most ships unloaded downriver and boats would transport their cargoes farther upriver. To avoid paying tariffs the Thames boatmen smuggled their cargoes ashore and sold them at lower prices. This grew to such a problem that King Edward designated twenty-five “legal quays” where goods could be unloaded. A list of these and the products they handled in 1584 is on page 63 and a map of their location appears on page 64. As products started coming from farther distances, companies were formed and granted royal charters for exclusive rights on trade. The Muscovy Company was the first joint-stock company and had the trade with Russia. The Eastland Company had the Baltic trade and the Levant Company traded in the Mediterranean. The East India Company (EIC), which was granted its charter in 1600 to buy and sell goods in Asia, was bringing in 15% of England’s imports by 1774. 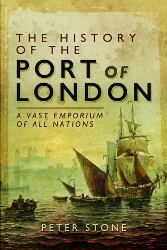 Its incredible success and growth was a major influence on the expansion of London’s port. They opened a shipyard next to the Royal Dockyard at Deptford and built immense warehouses to store various goods. In time, they were granted permission to build their own dock complex, which opened in 1800. Expansion of the British Empire led to the growth of trade with the colonies and trading posts in North America, the Caribbean, Africa, and the Far East. This created the need for more dock complexes at London’s port. Dock companies were formed to construct and manage these new facilities. Each is discussed in detail, as is the excavation for canals that permitted ships to turn into the docks from the Thames, and basins connected to the canals, which were filled with sufficient water for the ships to stay afloat. 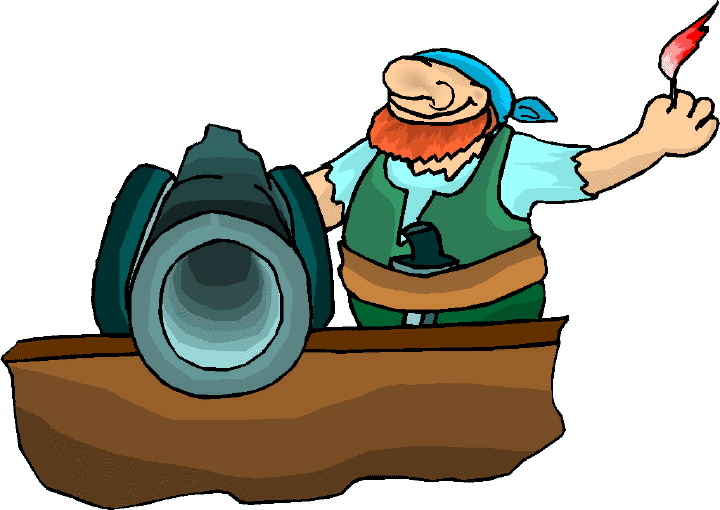 The industrial revolution changed shipbuilding and more dock complexes were needed to handle the growth in the number and size of ships arriving and the amount of cargo each could hold. Industrial complexes were also built along the Thames to utilize its water supply for steam and to be in close proximity to the ships carrying goods. All of the dock companies needed manpower to handle cargo, but because of different factors affecting how many ships arrived daily, it wasn’t cost-effective to keep large permanent workforces. Instead workers were expected to report in the morning in the hopes of being “called-in” for work. Those not called often went hungry. By 1871 the Trade Union Act passed Parliament, making it legal for workers to join together to negotiate for better pay or conditions. The changes made to the port and the impact the Great War had are explained. By the 1930s the port was the maximum size it would ever be. Also covered are the damages wrought by the German bombing campaign of World War II, changes in subsequent decades, technological innovations, and the modernization of the port to what it is today. This book includes several plates of black-and-white photographs, the first taken in 1899. Scattered throughout the text are illustrations of the port’s structures and various docks. An extensive bibliography is followed by a detailed index. Missing from the text are the ships that the docks were servicing. No mention is made of the ceremonial ship launchings that brought large crowds to the Thames shores; the stately East Indiamen returning after voyages lasting a year and more; the ships-of-the-line returning from battle; the clipper ships that raced from China to the docks in little more than 100 days; or the dreadnaughts and cruisers or the tankers stretching 300 meters and more. From his coverage of the days of the Romans, the author repeatedly states that only small ships would or could go upriver. Left unanswered is how the many sailing ships pictured in contemporary artwork travelled up the Thames to the docks and were maneuvered alongside a quay. As a sailing ship enthusiast I was hoping to learn more about this facet of the port than I did.